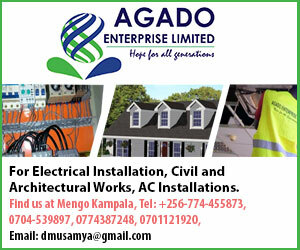 From energy to roads to oil projects, Eastern Uganda. With a reported investment of US$ 620m, (Approx. Ushs 1.6 trillion), Dongsong Energy Group will invest in several other factories to mine and produce steel, sulfuric acid, rare earth minerals and gypsum used in the making of chalk. President Museveni officiated at the groundbreaking ceremony that was attended by Dongsong Energy Group (U) Co. Ltd’s Weidong, Prime minister Amama Mbabazi and Energy Minister Irene Muloni. Museveni used the ceremony to urge local people to grow more food to feed an expected 1,200 Ugandans that will be employed by the complex. “I am glad to come here to start the construction of this project; you people of Tororo will get jobs. You can grow more food and sell some to the workers. If I was here, I would get rich because I would sell my milk to the workers and earn money”, he observed. A statement from the President’s office indicated that US$620 plant, will have a complex of factories that will have an annual production of 300,000 tons from the phosphates plant, 300,000 tons from the steel plant, 200,000 tons from the sulfuric acid plant, 100,000 tons from the Rare Earth factory, 300,000 tons of gypsum from the gypsum plant as well as generating a 12-MW of electricity from the waste heat power generation plant. The plant is expected to start production in December 2016. The mineral deposits at Sukuru Phosphate Project are expected to last over 100 years and will generate an annual turnover of US$350 million. Prime Minister Mbabazi hailed the commencement of the project last year as a major breakthrough for Uganda’s agriculture because of its potential to significantly lower the cost of fertilizers. Uganda’s favorable climate and vast arable land make it a potential food basket for the region. However, with one of the lowest fertilizer inputs in the world, Uganda’s farmland has been massively depleted of fertility threatening the environment. Muloni also hailed the Chinese firm for embarking on the development of Phosphates because the mineral was discovered sixty years ago but had not been developed until last year. Museveni also urged Ugandans to invest in education and skills development since mineral wealth expire in a few years. He cited the example of Japan that does not have minerals but uses intellect to create wealth by manufacturing vehicles, among other products. President Museveni, congratulated the Chinese group for having overcome all hurdles that were threatening the start of the construction. He also called on Ugandans to stop wasting time on non-issues and frustrating investors who come to the country to help to build Uganda’s capacity. “I would like to congratulate these investors. They did what they told me within a short time. They will bring us other investors. These people have built a lot of capacity. They can help us also build our capacity”, he said.